Pretty well all of the world’s biggest pop and rock acts have played Vancouver since the ’60s. 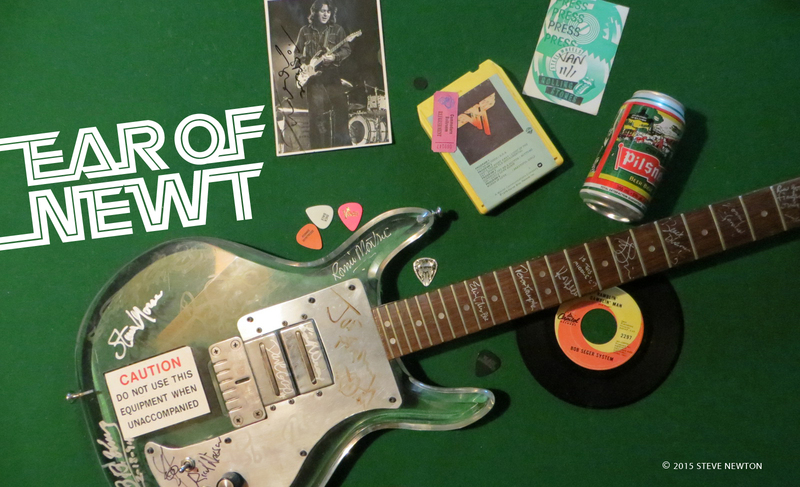 The Rolling Stones, the Who, Led Zeppelin, Pink Floyd, Bob Dylan, Bruce Springsteen, Elton John, U2, Guns N’ Roses—our city has played host to all of them over the last four decades or so. The only huge name that hadn’t made it here since the decade of discontent, it seems, was Paul McCartney. That all changed last night, of course. For the first time since the Beatles played Empire Stadium in August of ’64, McCartney’s violin-shaped Hofner bass was visible to the hordes of Vancouverites who’d followed every moment of the music legend’s life since the Fab Four released “Love Me Do” back in ’62. To make things even more special, rumours were rampant that Springsteen himself was going to fly in in advance of his show at Rogers Arena tonight (November 26) so he and his pal could finish the set they started in London’s Hyde Park last July before being silenced by plug-pulling authorities who forgot that curfews don’t count when it comes to the Beatle ‘n’ the Boss. 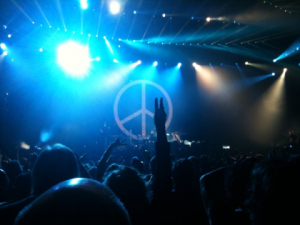 As it turned out, though, Springsteen was a no-show—damn those rumour-mongers!—but it didn’t matter all that much. What the concert lacked in additional star power it more than made up for with additional song power. During his marathon three-hour set McCartney performed no fewer than 38 songs, the majority stone-cold Beatles classics. The Beatles tunes chosen tended, obviously, towards the ones McCartney sang lead on and/or had the main role in composing, the universal “Lennon-McCartney” songwriting credit notwithstanding. But he didn’t forget his old bandmates, inserting a snippet of John Lennon’s “Give Peace a Chance” into “A Day in the Life”, and pulling out the ukulele George Harrison once gave him for a version of the latter’s beloved Abbey Road hit, “Something”. There was no mention at all of Ringo Starr, although the famously affable drummer’s happy-go-lucky spirit was felt in the positive vibes put out by McCartney’s ace skin-basher, Abe Laboriel Jr. The most “McCartneyish” Beatles numbers were the ballads he performed solo on acoustic guitar, including “Blackbird”, “And I Love Her”, and, of course, “Yesterday”, which kicked off his second encore, and was followed by the Wings hit “Mull of Kintyre”, which featured an appearance by the Delta Police Pipe Band. The evening’s other Wings songs were “Band on the Run”, “Jet”, “Junior’s Farm”, “Mrs. Vandebilt”, “Nineteen Hundred and Eighty-Five”, “Live and Let Die” (which boasted stunning pyrotechnics), and “Let Me Roll It” (which included a few bars of Jimi Hendrix’s “Foxy Lady”). Conspicuous by their absence were any songs from Wings’ follow-up to Band on the Run, Venus and Mars. 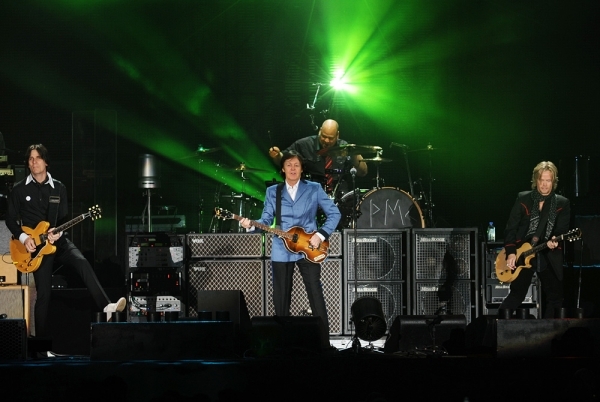 Besides Laboriel, McCartney’s touring band includes keyboardist Paul Wickens and guitarists Rusty Anderson and Brian Ray, all of whom provided plenty of strong backing vocals. The big concern of the night was whether or not the 70-year-old frontman’s singing would be up to snuff, but for the most part it was. There were definitely moments that it lagged—McCartney shook his head, displeased, when his harmonies on “Paperback Writer” swerved out of tune—but he was still hangin’ in there near the finale when the raging “Helter Skelter” called for everything he had. By the time the show ended, aptly, with Abbey Road’s “The End”, there wasn’t a lot any true-blue Beatles fan could complain about.